How to identify, treat, and recover from common injuries. Working out can be uncomfortable (especially when you’re just getting started), but it should never hurt. Here is how to tell the difference between the harmless twinges that go along with pushing your muscles farther than they’ve gone before and pain that should send you to your doctor. Remember: When in doubt, rest and have your pain checked out. It’s better to spend a little time and money seeing the doctor than to be sidelined for months by an injury that you could have prevented or minimized. This condition is an irritation under the kneecap that can flare up during a workout or while descending hills and stairs. It’s often caused by weak quads, hips, or glutes, which all can lead to overpronation (excessive inward foot rolling) and cause poor tracking of the knee. Running with too much forward lean can also contribute to the problem. How do you know you may have this? You may feel twinges early in the workout that go away and reappear. As it worsens, the pain may be on the inside or outside of the knee (toward your other knee or toward the outside of your leg), which persists even after you’re done with your workout. What to do: Take at least three days of rest until you’re pain-free. Avoid downhills or leaning too far forward during your workouts, as this can put more stress on your knees. And strengthen your quads, which control the tracking of your knees. Safe alternatives: Elliptical trainer, swimming, or pool running. This is a strain within the IT band, the connective tissue that runs along the outside of your thigh, from your hip to your shin. When your knee flexes and extends during running, the IT band can rub against the bone, causing irritation. It can feel like a dull pain on the outside of your knee that starts about 10 to 20 minutes into a workout. As it gets worse, it can radiate up and down your leg, even while you’re walking downstairs or down a hill. Piling on too many miles too quickly can irritate the IT band, as can running on cambered (slightly arched) roads. What to do: At the first sign of pain, rest for a few days. Also, get your shoes checked; you might need orthotics or a pair that offers more arch support to help correct the pronation. Shin splints happen when there are small tears in the muscles around your shinbones. You might feel a tight aching pain that fades after a warmup or after you stop working out. It can feel painful and tender to the touch. Shin splints are common among new runners and those returning after an extended layoff, and after building up mileage too quickly. Overpronation, running on cambered (arched) roads, and wearing worn-out running shoes can also lead to shin splints. What to do: When you feel the first twinges of pain, rest, then slowly get back into working out. If the pain continues through the end of your run and radiates over a wide area, it could be a stress fracture; see a doctor for a bone scan to rule one out. The easiest and best way to avoid shin splints is to increase mileage gradually, run on soft surfaces as much as possible, and make sure your shoes offer the fit that your feet need. Unlike an acute fracture that happens as the result of a fall, stress fractures develop from cumulative strain on the bone. They most often occur in the foot or in the shins. 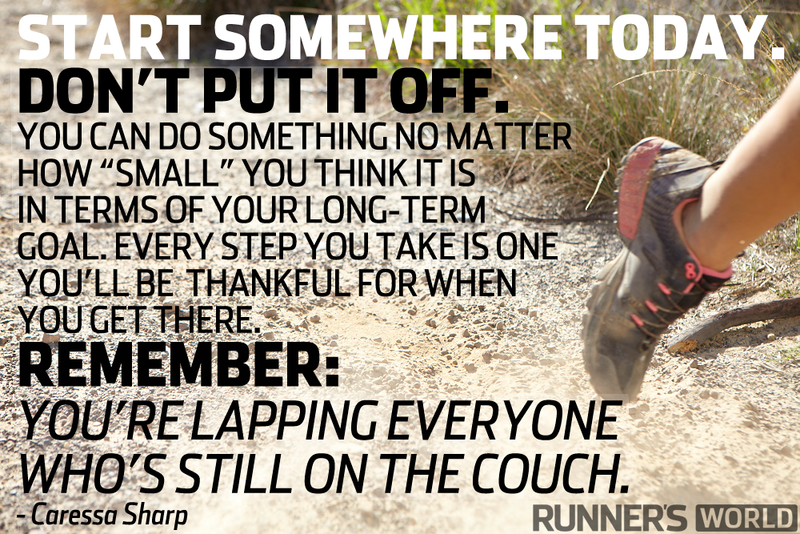 It may begin as minor pain and get worse as you run. If it goes untreated, it may become uncomfortable just to be on your feet. Stress fractures can result from overtraining, overstriding, and excessive impact. If you increase the duration, intensity, or frequency of your workouts before your body is ready, your bones can’t repair themselves fast enough to keep up. Stress fractures are more common in women than in men, usually due to nutritional deficits, low estrogen levels, and inadequate calorie intake. What to do: Stop all impact exercise and see a doctor right away for a bone scan. The amount of rest you’ll need depends on the severity of the fracture and its location. If you ran through the pain for a while before you realized you had a fracture, your recovery could take longer. An inflammation of the plantar fasciae, tendons on the bottom of the foot, from the heel to the toes. It feels like a dull ache or bruise along the arch or on the bottom of the heel, and it can be most painful first thing in the morning and at the beginning of a workout. Overpronation and wearing worn-out shoes are the most common causes of PF. A sudden increase in hill running or running on the forefoot can also set it off, as can long periods of standing. Those with high arches are more at risk for PF, and often it’s made worse if you wear shoes with no arch support or often walk around barefoot. What to do: You don’t have to stop working out—just stick to flat surfaces and avoid hills. Avoid wearing flip-flops or open-backed shoes that offer no heel support. Replace your running shoes every 300 to 500 miles. Stretch your calves and strengthen your glutes, which can help prevent pronation. Safe alternatives: Pool running and swimming. Cycling or using an elliptical trainer can help you maintain fitness, but only if you can do those activities pain-free. This is felt as chronic achiness and tightness that forces you to slow down and shorten your stride. As it gets worse, the pain can become sharp. Overstriding, overextending your legs while trying speed up, or bending forward from the waist too much to increase your forward lean can strain the muscles in the back of the thighs. Going too far or too fast, too soon or doing too many hills can also strain the hamstrings. Such strains often happen because these muscles are weak and tight. Best remedies: Run easy, and shorten your stride. Avoid stretching your hamstring while it’s sore, which could actually pull it or strain it further. This condition is the tightening and irritation of the Achilles tendon, which connects the two calf muscles to the back of the heel. It may start as a dull ache. As it progresses, it may hurt to stand up on your toes, and you may develop severe pain and swelling—even when you’re not running. It’s caused by doing too much too soon, doing too many hills, or wearing the wrong shoes. What to do: Rest for a few days. If you try to run through this, it may take months to go away. Avoid aggressive calf stretching and wearing flip-flops and high heels, all of which can irritate the Achilles.